In the excitement of the new season, supporters are often guilty of creating over-the-top expectations and ending up disappointed when the clubs fail to meet those objectives. Often all we need is a bit of perspective from experts to maintain rational thought; our Q&A mini-series going into the 2014/15 season serves this purpose. Ancelotti won the big one in his first season in charge at the Bernabeu, but will this only serve to heighten the pressure for this season? Quite the contrary. 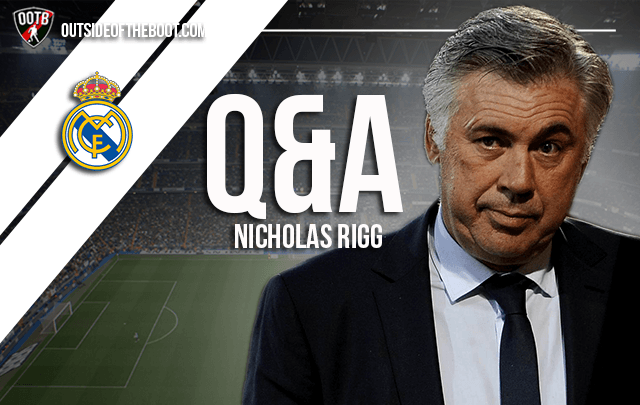 While expectations will understandably be heightened after lifting a tenth European Cup and also securing the Copa del Rey in Ancelotti’s first season at the helm, the pressure to win ‘La Decima’ overshadowed everything else. Now that it has finally been secured, the Italian and his squad will have a weight off their shoulders going into the new season and that should only help in their quest for more silverware. However, there is no such thing as a season without pressure at the Bernabeu, such are the demands of the president and the supporters. Florentino Perez will want his side to win all six trophies they’re involved in this season so Los Blancos will not be able to rest on their laurels. Last season saw Pepe re-establish himself as a top defender in the Real ranks, but if Varane is free from injury now, are we in for a very interesting battle? After Pepe’s hot-headed nature came back to the fore during the World Cup I expected Varane, who enjoyed a good World Cup with France, to get his chance alongside Sergio Ramos at the heart of Madrid’s defence this season, but Pepe has started both UEFA Super Cup and Spanish Super Cup ties. My understanding was that it was actually Ramos, and not Pepe, who was set for the chop at the start of last season with Ancelotti keen to play Varane but an injury for the young Frenchman gave the elder pair a lifeline – one they took. Varane provided a strong performance in the Champions League final, too, and he will be waiting in the wings should his Portuguese teammate put a foot wrong this season. The 21-year-old has impressed on the occasions he’s been handed a starting role and undoubtedly has what it takes to set-up in Madrid’s back four. Reports have suggested he could be on his way out of the Spanish capital this summer but Varane is the future of the Madrid defence. The midfield should be very interesting, with so many talented and creative players. On paper, it looks exceptional; but with the likes of Alonso and Khedira not regular members of it, do you see a defensive issue emerging? Ancelotti looks set to stick with a 4-3-3 line-up that served him well last season and the early indications are that Alonso will start in the middle alongside Luka Modric and new-boy Toni Kroos. While that trio screams attacking threat, pin-point passing and a host of assists, put them together and they work well defensively, too. Alonso’s legs are getting no younger and his manager has taken note, with the 32-year-old playing deeper than his fellow midfield maestros. While Kroos and Modric will push forward, Alonso drops back to form somewhat of a back three alongside Pepe and Ramos, a tactic that also allows the full-backs to pile forward down the wings. Modric’s massive engine ensures he’s the perfect box-to-box man and the season on-loan at Bayer Leverkusen added something to Kroos’ defensive game, too. James behind Benzema, flanked by Ronaldo & Bale; that’s what many seem to think will be the approach in the final third. Again, mouthwatering on paper, but are you concerned with the dependence on Benzema given the lack of options behind him? It seems Ancelotti will be sticking with his preferred 4-3-3 line-up next season, making life more difficult for James on the starting front. Back-up out wide, in midfield or in a ‘false 9’ role seems the more obvious option given the Italian has hinted the Colombian will be one for the future rather than an immediate hit such as Bale was last season. Benzema has always been a frustrating figure at the Bernabeu but the arrival of Bale and the emergence of the ‘BBC’ seem to have suited him nicely. Ancelotti has been keen to emphasise that the Frenchman does not need to be a striker who scores 30 goals a season, more so a player who will bag the goals but also link-up the play to allow Ronaldo and Bale to flourish, too. There was a dependence on Benzema last season but, a slow start aside, that did not turn out to be an issue. With the rumours of Falcao being a target before the end of the transfer window, and the return of hotshot Jese Rodriguez from injury in October, there should not be any concerns on that front. We track the progress and performances of youngsters with our Talent Radar feature. Jese is the focus here; although injured now, do you see him getting an opportunity or will he follow Morata as another talented youngster out of the club? It’s always difficult for youngsters to break into the first team at a club like Madrid when such big money is spent on the world’s greatest players but Jese bucked the trend somewhat last season and his injury was a big blow to the club. While Morata tried and failed to cement a regular starting role over a number of seasons, Jese quickly surpassed him in becoming a Bernabeu favourite and getting plenty of minutes despite the presence of Bale and Ronaldo. The Las Palmas-born youngster will not be shown the door just yet, far from it. Everyone is keeping their fingers crossed that he comes back with the kind of punch, pace and eye for goal that he had before his crushing set-back and if he does then he could be a key man for Los Blancos next term. With Ronaldo’s injury problems showing no signs of letting up, the former Castilla man could get plenty of minutes this season and continue on the path that had many, perhaps rather ambitiously, proclaiming that he is to be the next Raul. Both Real and Barca have gone on tremendous spending sprees, but have Atletico fallen under the radar, very effectively, once again? For me, Atleti have enjoyed a fantastic summer given they were readying the departures of big names such as Diego Costa, Thibaut Courtois and Felipe Luis last season. More were expected to leave given Atleti’s success last season and their relative lack of finances but Diego Simeone has managed to keep hold of stars such as defensive duo Diego Godin and Miranda, as well as midfield sensation Koke, who has attracted the interest of Barcelona. They’ve spent well in replacing their departures, too, as they usually do. Players such as Fernando Torres, Diego Forlan and Falcao have left the club but have been suitably replaced in the past, and Los Colchoneros have managed to do the same this summer. Croatian international Mario Mandzukic has arrived as a like-for-like for Costa, while Antoine Griezmann will also add plenty of threat in attack. Guilherme Siqueira and Jan Oblak may not be at the same level as Felipe Luis and Courtois respectively, but they provide stern replacements. All-in-all Atleti’s squad is arguably stronger than last season and in manager Simeone, the club has managed to keep hold of their key man. The dream of the Decima has now been fulfilled. Will Real find themselves lacking a bit of motivation going into the Champions League now, considering that the coveted 10th kept them going for more than a decade? Madrid’s squad will not be allowed to rest on their laurels. The club is built on winning and winning consistently and the desire to add trophy after trophy to the Bernabeu cabinet will remain. Clearly, however hungry Los Blancos are to defend their Champions League trophy, that hunger will not be on a par with a desire built up over a decade of winning La Decima. There is also the challenge of becoming the first club to successfully defend the European Cup since it entered the Champions League era that will drive the team on. What has been evident in Spain over the last decade is that records are there to be broken and that will be no different this season. A couple of good additions have been made, but a quality player like Di Maria may be sacrificed, either entirely, or from the first-team. What are your thoughts on this situation? Di Maria should be a starter for Real Madrid but it looks as though he will be plying his trade elsewhere next season. My understanding is that manager Carlo Ancelotti wants to keep the Argentine but his sale may come from above, with president Florentino Perez keen to cash-in on a player who, although sublime for the most part of last season, had his clashes with the Madrid hierarchy. The former Benfica man topped the assists chart in La Liga last season and showed tremendous fight to battle for a starting role despite the big-money arrival of Gareth Bale when his former teammate Mesut Ozil opted for an escape route to Arsenal for more guaranteed first-team football. He took the man-of-the-match award for his performance in the Champions League final and it was his superb run and cross that allowed Bale to head Los Blancos ahead for the first time. He has a superb engine, crucial if Madrid are playing three in midfield, and helps out defensively as well as pushing Madrid forward. He rose to the occasion in the big games, showing another big performance in El Clasico at the Bernabeu by lifting his side with plenty of go-forward and a brace of assists for Karim Benzema that turned the game on its head. His loss will be someone else’s huge gain. Keylor Navas’ addition means Iker Casillas will again have a bit part role. Are the Real supporters ready to move on from their legend? Not at all. While an error in Lisbon was largely forgotten thanks to Madrid’s come-from-behind late show to clinch La Decima, his horror-show for Spain in the World Cup was not. It seemed like his days at the Bernabeu were numbered but Ancelotti has given the Mostoles-born shot-stopper another chance this season by handing him starting roles in the UEFA Super Cup and the Spanish Super Cup. It seemed the £8 million spent on Levante goalkeeper Keylor Navas, and the departure of Diego Lopez, means the Costa Rican would be the long-term No.1 for Madrid but the Italian has been mulling over a decision over his first-choice No.1 throughout the summer. Privately he knows who will start in the league opener against Cordoba but nobody else quite knows who will run out between the sticks next Monday. Whether or not Casillas is first choice, while he is at the club Madridistas will not move on. The chants of “Iker, Iker” continued last term despite his presence on the bench in the league and the moment Navas makes a mistake, the Press and some of the fans, will be calling for Casillas to be recalled should he start on the bench. Los Blancos needed to move their legend on this summer but that particular headache thus far remains. And finally, will it be correct to think that the Madridistas want the Liga more than the Champions League for the coming season? What will be their reaction if there’s another 3rd place finish? The league is of high priority this season, that’s for sure. Madrid fans gladly took winning the Champions League and a third-placed finish last season but another below-par showing domestically will not sit well, not with the megabucks that have been spent on improving the squad that was already up there with the best in the world, if not the best. Both Barca and Atletico have secured the title since Los Blancos last won it and Ancelotti and his squad will be keen to put that right this season. Although third-place has recently been unthinkable for Madridistas, Los Blancos were not completely off the pace and actually had the title in their hands going into the final weeks of the campaign. 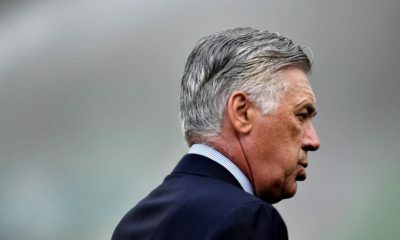 Slip-ups in the latter stages of the campaign, when they were also battling in Europe, hit them hard and Ancelotti will address those slip-ups this season. Questions answered by Nicholas Rigg. You can read all our interviews and Q&A’s here. Check out all articles under our “The Royal Pages” blog.